Candy Shop Quilts is a delicious collection of six quilt confections---all good enough to eat! Treat yourself to Buttered Popcorn, Cherry Chocolates, Salt Water Taffy, Dots, Orange Creams, and Licorice Whips. Each design will satisfy your quilting sweet tooth without adding extra calories. 80 pages with 10 projects with no-fear techniques for mastering curved seams. 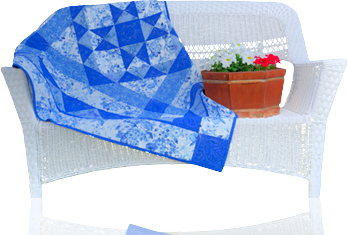 Spectacular quilts with easy curves! This book is a collection of charming patterns in unique proportions -- full scale and exact quarter-size. Easy time-saving techniques are used to create thse timeless quilts. 32 pages with 6 projects of holiday wallhangings, lap quilts, and more. Tips adapt the projects to different seasons of the year. 80 pages with 8 projects using curved, slanted, and diagonally cut SuperStratas, versatile strip-set techniques. Quilts and colors inspired by Bali!